Reinforcing her administration’s support for ExxonMobil’s future investment in the parish, Mayor Sharon Weston Broome declared this morning that the Baton Rouge is ready and willing to compete for business investment over any other parish, city and state in the country. “My mission here today is to send a unified and powerful message on behalf of the citizens of Baton Rouge,” Broome said today at a City Hall press conference. 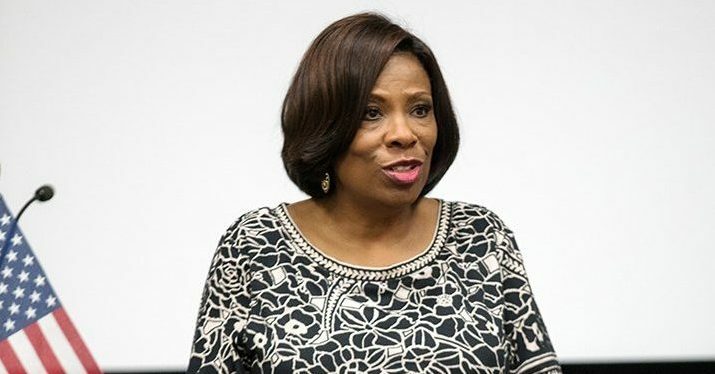 “Baton Rouge is not only open for business, but we are open for growing businesses in a way that’s beneficial for the company and our community,” Broome said at a City Hall press conference. Larissa Littleton-Steib, chancellor of Baton Rouge Community College; Donna Saurage, widow of longtime Community Coffee head Henry Norman Saurage III; and George Bell, president and CEO of Capital Area United Way also spoke at the conference of ExxonMobil’s importance to the community. Calling ExxonMobil a “model of corporate citizenship,” Littleton-Steib said the community college’s partnership with ExxonMobil has been a springboard for workforce and educational opportunities in Baton Rouge, as well as for the entire region. Bell praised the company’s $25 million in contributions to the Capital Area United Way. Broome’s public declaration comes nearly a week after ExxonMobil pulled two of its Industrial Tax Exemption Program requests after the East Baton Rouge School Board voted to deny the requests, which led the company to call Baton Rouge an unpredictable place to do business, adding it would revisit its plans for future expansion in the area. Asked if she would support planned legislation by state Sen. Mack “Bodi” White, R-Central, and Rep. Franklin Foil, R-Baton Rouge, that would return the ITEP approval process solely to the state, Broome said she would have to look at the bill before making a comment, adding she thought guidelines set by the Metro Council for ITEP approval should be given time to work before any more changes are made to the program.